USA Hockey announced its roster for its upcoming three-game series with Canada this morning, with 14 players from the NWHL making the squad. Among the notables are Boston Pride goaltender Katie Burt, who has been outstanding in her rookie NWHL season; and Buffalo Beauts forward Hayley Scamurra, who last month became the first player to be called to a major U. S. National Team camp based solely on her play in the NWHL. Scamurra is tied for the league lead in scoring this season with 9-8-17 in 11 games. 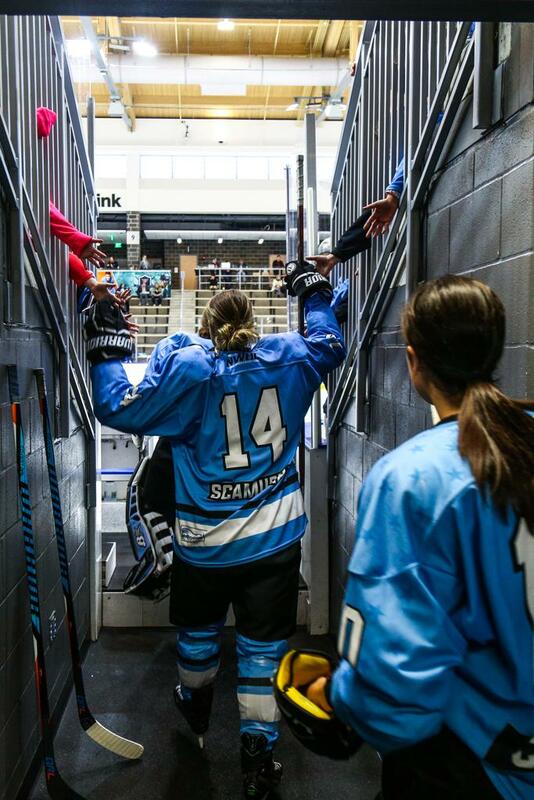 Defenders Savannah Harmon (Buffalo Beauts) and Michelle Picard (Metropolitan Riveters) earned roster spots after being mainstays at USA Hockey camps over the past several months. This is Harmon's first official call-up. The three-game series between the U.S. and Canada in February renews one of the greatest rivalries in sports, with the two powerhouses competing for nearly every international title for many years. After the U.S. took home gold over Canada in dramatic fashion in a shootout at the 2018 Olympics in PyeongChang, the teams squared off for the Four Nations Title, with the U.S. once again emerging victorious with a 5-2 win in the championship game. The first two games of this series will be held in Ontario, Canada, on Feb. 12 and Feb. 14, with the finale taking place at Little Caesars Arena in Detroit at Noon on Feb. 17. Tickets to this rivalry game in Detroit range from $15-$35 and are available on Ticketmaster.com. To show its support of USA Hockey and our NWHL players in the series, the league is sending a handful of players to Detroit on Feb. 17. The players will participate in a private youth hockey clinic outdoors in Detroit for nearly 100 children. Then the NWHL players will watch the game with all of the youngsters and cheer on their many friends. Stay tuned for more details, but fans will want to follow the NWHL’s social media platforms on Feb. 17. Congratulations to all of the players selected by USA Hockey for this must-watch series against Canada!